I’m fairly sure you’re familiar with this situation: You’re happily writing along in a story, and suddenly, an idea pops up. It’s completely univited, and actually a little annoying at this point. Alternatively, you put a few sentences into a text file and save that in an “ideas folder” on your hard drive, to stash them away safely. That’s what I tend to do. Yet, it’s been rare for me to actually pick up such an idea again and run with it. Somehow, that intensity of the first moment is lost. This weekend, I learned something new. I was reading a self-help book for people who start many projects and have a hard time finishing them. (You have no idea how many unfinished novels languish on my hard drive …) Anyway, the idea is to deal with project ideas in such a way you can pick them up again with enthusiasm. In order to do this, the author suggests using a “project book”. She prefers getting a big, beautiful blank book because it will house treasures. Here you can see the one I got. For an idea or a project, you take a double page and start in the upper left corner. And then you just let loose, for an intense and highly creative time, capturing that enthusiasm. I chose many colors for my first project page – I actually decided to use starting this whole thing as project. I’m really looking forward to adding ideas and projects into this book. They will stay fresh and intense, so I can come back to them whenever I want to. If a project gets too big for two pages in the project book, you simply get a binder and keep everything in there: Pictures, print-outs, little bits of writing, everything that keeps the fire going. I’m looking forward to that as well, since I still have a lot of room in my folder storage. So how do you handle rogue ideas? This entry was posted in English and tagged ideas, organize, writing. Bookmark the permalink. That sounds like a great idea! I mostly use a very pretty notebook to write down ideas so they wouldn’t escape from me. I’m not an outliner, but I do forget stories easily and it helps to just pen them down. 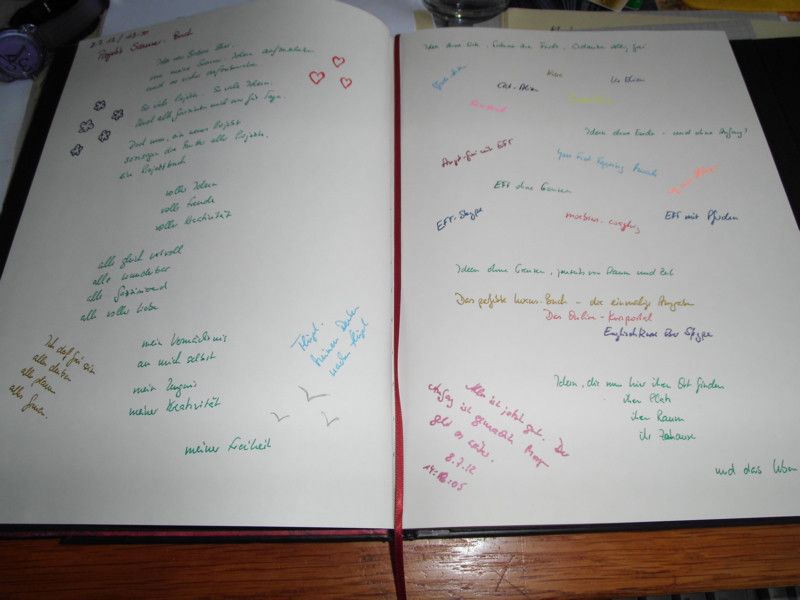 Yes, I like the notebook idea, it’s very similar to the project book. 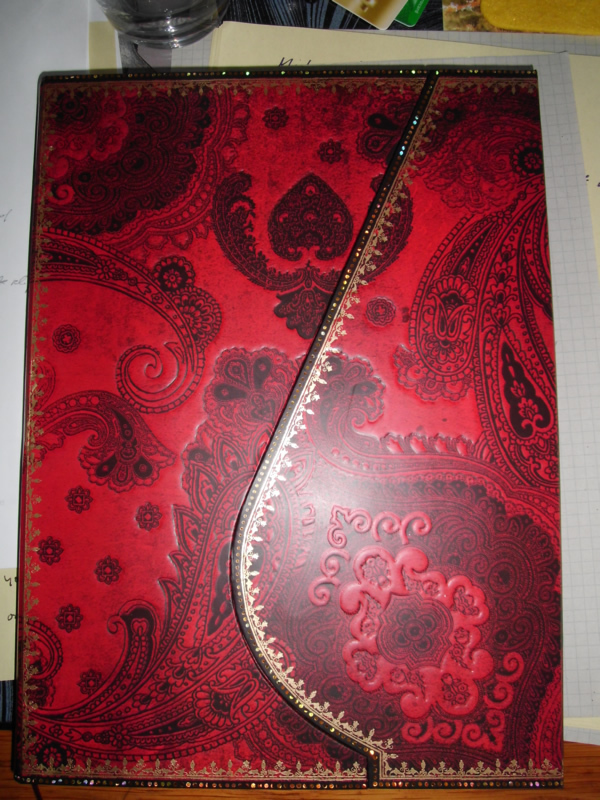 In fact, I think it matters that it’s a *pretty* notebook. 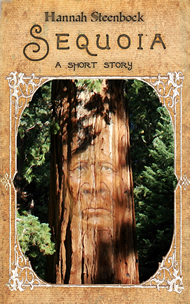 Story ideas should be treated like treasures. Good luck with your writing!